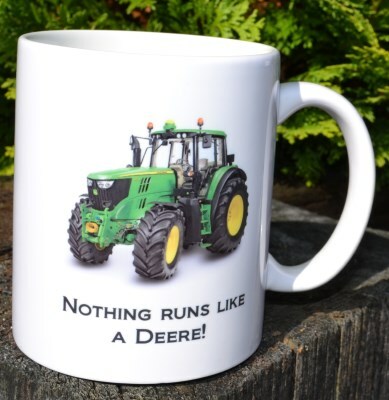 Fabulous new range of tractor mugs to suit all owners! If you don't see what you are looking for - email us on info@bumblebeecreations.ie to discuss your requirements. The text under the tractor is standard - you get to choose what you would like on the other side - simply enter your requirements in the print text box.